For the third year in a row the girls qualified for the Western New England Class A League Tournament – this time earning a #2 seed and a match-up with #3 seeded Taft. The girls advanced to the finals with a 1-0 victory thanks to the outstanding pitching of sophomore Jordan Strum and excellent defense. This victory set up a championship game at Westminster against the defending champions. Westminster had won 7 of the last 8 championships and had knocked us out of the tournament the last two years. 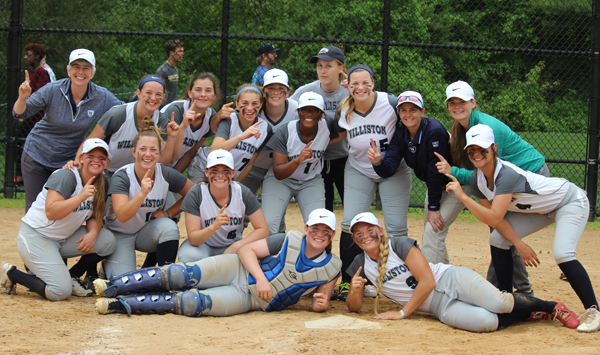 Thanks to a tremendous pitching performance from Strum and the contributions of many girls up and down the lineup, the Wildcats defeated Westminster 5-1 to earn the Wildcat’s first Western New England Class A Softball Championship! Girls Lacrosse went 15-1 this season, finishing at the top of Western New England in Class B. Girls Lacrosse had another outstanding season. The Thirds team, under the leadership of Sarah Sawyer, demonstrated great team spirit and improvement throughout the season. The JV squad, led by Coaches Garrity and Baldwin, had an excellent season with a record of 6-3 highlighted by a thrilling 10-9 victory over rival Westminster. Led by Coaches Fulcher and Tancrell-Fontaine, the Varsity Girls Lacrosse team had another outstanding season finishing with a 15-1 record, with only a 12-11 loss to Loomis separating them from an undefeated season. The 15 victories equals the 2013 team for the most wins in school history. 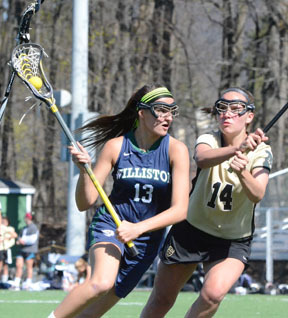 In the final NEPSAC Girls Lacrosse rankings that includes all prep schools in New England, Williston was ranked #2 behind Loomis – by far the highest Class B school in NEPSAC. In the past nine years, the Girls Lacrosse team has accumulated an incredible overall record of 113–7! While there were many great wins during this season, there were several victories that stood out for Coach Fulcher. The first three were decisive, but hard fought, victories over perennially tough opponents Hotchkiss, NMH, Choate and Deerfield. 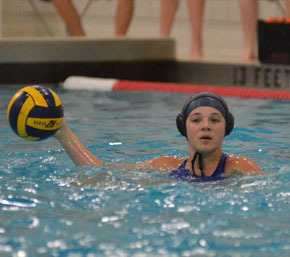 Undoubtedly the most exciting victory took place at St. Mark’s in early April, when the girls rallied late to win a thrilling 11-10 overtime game. In terms of postseason recognition, senior Meg Szawlowski and junior Olivia Bonavita were both recognized for their outstanding play by being named to the All Western New England All-Star Team. Sportsmanship: Addie Rogers ’20 – 2nd year in a row! MVP Award: Meg Szawlowski ’16, second year in a row! Dereus had a historic season for the Boys Track team. Under the leadership of head coach Chris Pelliccia and fellow coaches Martha McCullagh, Jane Lucia, Noah Lipnick, Annie Schneider and Jacob Rivers, both the Boys and Girls Track teams enjoyed very successful seasons. Highlights of the boys outstanding 13-2 dual meet season included victories over Berkshire, Avon, Suffield and Worcester. At the New England championships held at Tabor Academy the boys finished in 6th place out of 14 schools. Earning team points on the day were sophomore Noah Clack with a 5th place finish in the Javelin, senior Mark Wilson with a 5th place finish in the Long Jump, Henry Chen with a 5th place in the 300 Hurdles, Nick Hill with a 5th place in the 1500, and the 4 x 100-meter team of Eni Ikuku, Isaiah Brooks, Mark Wilson and Michael Dereus finishing in 5th. Michael Dereus earned a 2nd place finish in the long jump and became a NEPSAC champion in two different events – the 100 and 200 meter dashes. 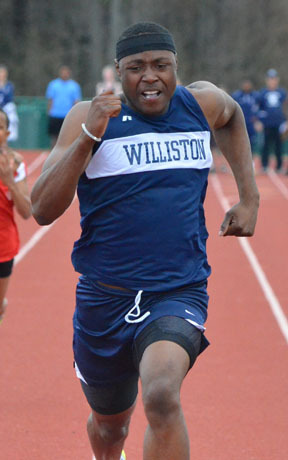 His 22.28 in the 200 set a new Williston school record, and his time of 10.84 in the 100 not only set a new Williston record but also broke the NEPSAC record by 1/100ths of second. Because of his exceptional performance, the NEPSAC coaches named him the Outstanding Male Athlete of the championship meet. Rachel Rockwell graduates Williston as the 100-meter hurdles record-holder. The Girls Track team also had an amazing spring finishing their dual meet season with an impressive record of 13-2 as well. Highlights included great wins over Berkshire, Westminster and Suffield. At the New England championships the girls had an outstanding day as they also finished in sixth place out of the 14 teams competing. Individually, 6 girls earned points on the day. The 4 x 100-meter team of Sideya Dill, Catherine King, Elin Blomquist and Sideya Dill finished in 6th, freshman Trixie Willems finished 6th in the pole vault, and Sideya Dill also finished 6th in the 100-meter dash. Senior Rachel Rockwell had a terrific day at the NEPSAC championships as she demonstrated once again her great versatility. She finished 3rd in the javelin, 4th in the long jump and 3rd in the 100-meter hurdles. 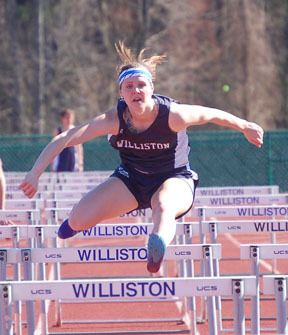 During Reunion Weekend earlier this spring, she broke the school record in the 100-meter hurdles that had stood for 25 years. To make it even more special, the previous record holder, Catherine Saint Louis, was back for reunion and at the race to cheer her on. Alexis had a fantastic day at the championships as a thrower. She finished 6th in the shot put, 2nd in the javelin and won the discus with a throw with a personal best of 109’10””. This broke her own school record she set earlier this spring. Frank Putnam MVP: Michael Dereus ’16, second year in a row! 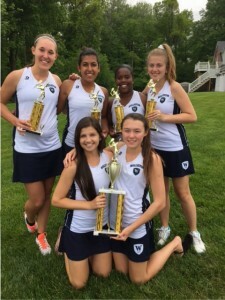 Girls Varsity Tennis had one of its best seasons ever thanks to the leadership of the senior class. Led by Coach Jen Gross and Ben Thompson, the JV Girls Tennis team demonstrated steady improvement throughout the season earning four victories, including a season-ending 7-0 shutout over Suffield and a thrilling 4-3 victory over Berkshire. The Varsity Girls team, led by Coach John Chiavaroli, had one of their finest seasons in many years finishing with an 8-3 record. There were many highlights during the season including a convincing 9-0 victory over a perennially tough Loomis squad and a thrilling 5-4 victory over Westminster, our first in 7 years. The team was led by senior Julie Lord who finished 20-2 on the season at #1 singles, and the doubles team of seniors Abbie Foster and Caroline Borden who were undefeated during the regular season. The girls finished their season with their second consecutive 1st place finish at the Suffield Invitational Tournament. Leading the way for Williston were Julie Lord, who came in first at #1 singles, Toula Sierros, who came in 1st at #2 singles, and the doubles team of Danielle Grant and Haley Beecher who were the #1 doubles champions. MVP: Julie Lord ’15 – 3rd year in a row! Girls Varsity Gold improved their overall scores by an astonishing twenty strokes since last season! Coach Liz Kay’s JV Girls Golf squad made steady progress throughout the season finishing with a record of 4-2 highlighted by victories over Miss Hall’s and Taft! Led by Coach Ann Pickrell, the 2016 Varsity Girls Golf team compiled a 13-4 match play season record this spring. This is the second best overall season record for the team in the fourteen year history of Williston’s program. This spring the team set two school records: most wins in a season (13) and lowest team scoring average ever – a full twenty shots per match better than the 2015 team. This is an incredible one year improvement in the sport of golf! Highlights included victories over strong squads from Choate, Hotchkiss and Loomis and 5-0 shutout wins over Westminster, Miss Porter’s, Miss Hall’s and Ethel Walker. 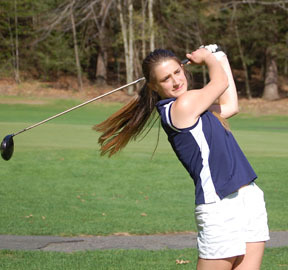 In two home matches near the end of April all five of Williston’s golfers shot rounds in the forties or high thirties – again a first in the history of the School’s program. 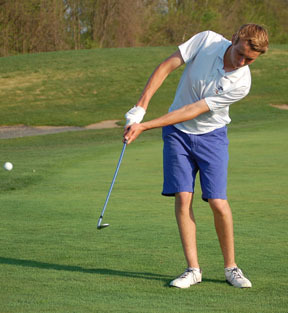 Boys Golf had a record-setting spring with four players earning medalist awards this season. Strong team play was the key to their 13-match winning streak. The JV team, led by Coach Whipple, had a terrific season finishing with a 9-5 record highlighted by victories over Suffield, Berkshire and Deerfield. The Boys Varsity Golf team, under Coach Mike Fay’s leadership, had an outstanding season with a record of 16-3-1. The 16 wins is the most in school history. The season was highlighted by single wins against Avon and Choate, and 2 match sweeps over Deerfield, Loomis, and Kingswood-Oxford. After dropping a close match to NMH in April, the team went on to achieve a 13 match unbeaten streak, including a 5-to-1 match play victory over NMH. The team was led by captains Jacob Zaranek and Noah DeVos. Aside from being positive leaders and models of good sportsmanship, both Jacob and Noah played great golf, illustrated by Jacob’s 2-under-par round, and Noah’s even-par round, in the final regular season match, which led the team to a record low match score of 184 (36.8 average)! It is worth noting that freshman Owen Randolph has the distinction of being the first varsity golfer in many years to record a hole-in-one in a practice round. In the season ending Kingswood Invitational, Jacob Zaranek was team medalist for the Wildcats with a 78 and Tyler Senecal had a strong performance with a round of 80. The Wildcats ended up tied for fifth place with Taft out of 23 teams. With the team only losing one player to graduation, their success is likely to continue in the 2017 season. Robert C. Varnum ’60 MVP: Jacob Zaranek ’17, 3rd year in a row! Baseball finished the season with an 11-5 record after competing in a very challenging league. Our JV Baseball team, led by Coaches Spearing and Moyer, made great strides throughout the season. This young team earned several hard-fought victories this spring, including shutout wins over Berkshire and Easthampton, and exciting victories over Eaglebrook and Wilbraham and Monson. 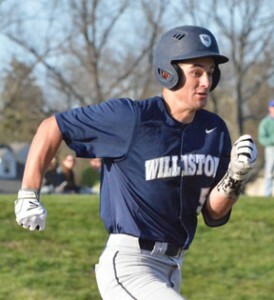 The Varsity Baseball team, led by Coaches Sawyer, Lapolla, and Cheney, enjoyed an excellent season competing in the Western New England Baseball League finishing with a record of 11-5. While there were several great wins during the season, two victories at home stood out over local divisional rivals. The first was a 4-3, come-from-behind victory over Wilbraham and Monson, and the second was a 5-4 extra-innings victory over Suffield Academy during Reunion Weekend, when Patrick Beaton’s base hit knocked in Ian Ostberg before an enthusiastic crowd at Carpenter Field. Several players earned all-league recognition for their outstanding play: Earning First Team honors were Patrick Beaton and juniors Ian Ostberg and Chris Espinal. Earning Second Team honors were Jared Freilich, Daylon Thompson and Cody Cavanaugh. Sportsmanship Award: Nat Markey, 2nd year in a row! Williston’s Riding team improved throughout the season. 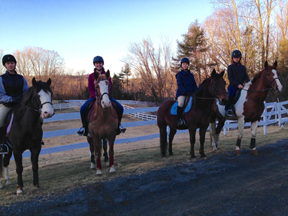 A small handful of Williston students rode this spring at Fuller Horse Farm in Westhampton under the guidance of Laura Etzel. The team was led by senior veteran rider Lacey Gillis. Our athletes showed great determination and dedication to working towards achieving their individual riding and horsemanship goals. Coach Laura says it has been tremendous pleasure to work with this group this spring. 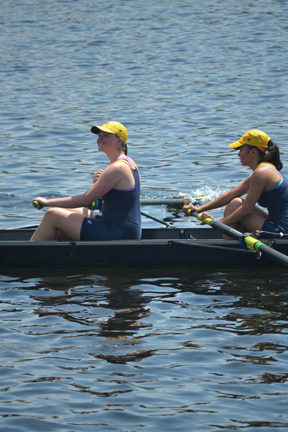 The Crew team had a strong season on the Connecticut River this spring. The Crew team had a strong season this spring on the Connecticut River. Sofia Triana, Maggie White, Christie Lee and Alara Akisik represented Williston as membervs of the Northampton Community Rowing Girls Varsity squad. The girls won every event in the Pioneer Valley Regatta, placed 2nd in the second varsity eight in the Mayor’s Cup in Providence, and advanced into the semi-finals of the Lowell Invitational Regatta. Junior Michael Lemme showed great improvement this season as he moved up from the novice team and raced with the Varsity Boys several times. Michael was a member of the varsity eight that advanced to the semi-finals of the US Rowing Northeast Regional Championship this past weekend in Worcester. On the novice teams, Skylar Nieman was a member of the very successful novice girls eight. They won a gold medal at the Mayor’s Cup in Providence and advanced to the grand finals of the Lowell Invitational Regatta and the US Rowing Northeast Regional Championship. Caleb Stern, Gabriel Davila Bustamante, Kohmei Kadoya and Tosh Ayabe were all members of the novice boys’ team that advanced to the semi-finals of the US Rowing Northeast Regional Championship. Matt Folger was team MVP during a season of growth for the squad. Williston’s Ultimate Frisbee team competed against a tough schedule with some of the top local teams in the area, including Northampton and Longmeadow. Under the enthusiastic guidance of Coaches Rivenburgh and Roe, 19 boys and 3 girls played in 11 games and 3 tournaments. The team competed hard all season and had many highlights, including an early season win against Northampton and a thrilling sudden victory game against Chapel Hill Chauncey Hall. 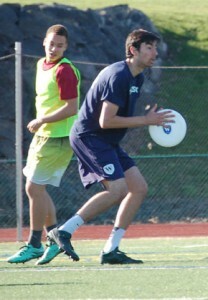 At the season ending New England Prep School Ultimate Championships held at Deerfield Academy, the team improved on last year’s performance going 2-2 to earn an 8th place finish. Freshman Abbie Coscia set a single-season scoring record with 68 goals! Under the tutelage of coaches Bill Berghoff and Adeleen Brown, 15 feisty and enthusiastic girls dove into the pool this spring for Williston’s Water Polo team! This amazing group of girls competed against the powers of NEPSAC and earned a reputation for gritty defense, working hard for an entire game, and supporting their teammates. Captains Liv Cuevas and Leeanna Albanese led by example, teaching the 10 new members about the pride and spirit of the Williston water polo program. Season highlights include forcing a strong Deerfield squad to bring back their starting team late in the second quarter after the Wildcats mounted a ferocious rally, a decisive 8-3 victory over Hotchkiss, and freshman Abbie Coscia set a new single-season scoring record this spring with 68 goals! With a strong nucleus of returning players, including 5 starters, this team will be a force to be reckoned with next spring. Boys Tennis has an auspicious future with all of their starting team returning next season. 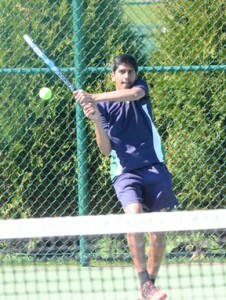 Coach Ken Choo’s JV Tennis squad included a wide range of experiences and grades from 7th graders to post-graduates. To their credit, the team developed wonderful camaraderie . The highlight of their spring was a season-ending 5-2 victory over Westminster. Despite fielding a very young team this spring, Coach Ryan Tyree’s Boys Varsity Tennis team enjoyed a very competitive season. Returners Zack Robbins, Kenny Wang, Justin Park and Nithish Raja were joined by talented newcomers Joey Robbins, Nikhil Sierros and Vishnu Sekar. Highlights included decisive victories over Worcester, Millbrook, and Wilbraham & Monson. The biggest victories were two road wins over teams that had beaten the Wildcats over the last few years – a 5-2 victory at Pomfret and a thrilling 4-3 victory at Westminster. Coach Tyree said the team regularly earned high praise from coaches and spectators for their “sportsmanship and composure during match play.” Perhaps the best component of this year’s squad is the promise that next year holds – with no graduating seniors and four ladder positions played by a seventh, eighth, ninth, and tenth grader, things look very bright for boys tennis in future seasons! Nick Garofano earned U.S. Lacrosse All-American honors at the conclusion of the spring season. JV Boys Lacrosse, led by the dynamic duo of coaches Kyle Hanford and Ben Demerath, had an outstanding season finishing with an 8-2 record, including terrific victories over rivals Suffield and Wilbraham and Monson. Under Coaches Syfu, Dietrich, and Johnson, Varsity Boys Lacrosse finished with an overall record of 9-8, with a 4-1 record in Western NE Division 2 placing them second behind Gunnery. The team enjoyed some exciting wins including beating NMH 14-6, beating league rival Canterbury 8-6, and beating Pomfret for a second time, 9-8, during the opening game of the first annual Colonial League Tournament. 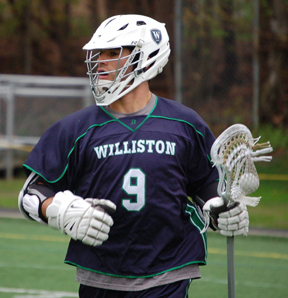 Senior Nick Garofano finished his distinguished career as the second all-time leading scorer with 199 points and the all-time assists leader for Williston with 88, and recenlty Nick was selected as a US Lacrosse All-American. In terms of postseason recognition, three boys were named to the all-league team: Nick Garofano, Jake Ross, and Brian Sullivan. Earning Honorable Mention were Aidan Rai and Kevin O’Sullivan.